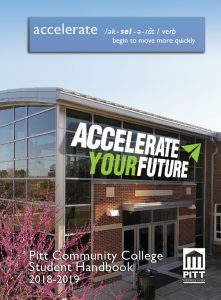 Congratulations on your acceptance to Pitt Community College! As a new student on campus, the best way to begin your education at PCC is to attend an orientation session and receive the tools needed to be successful during your time as a new student. Have your acceptance letter handy and follow the registration link to begin your journey as a PCC Bulldog!